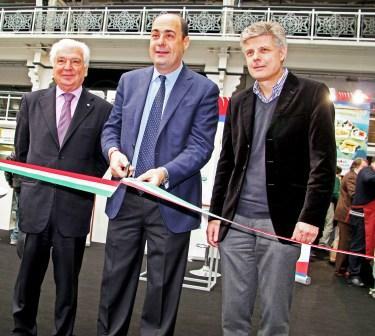 The President of Province of Rome Nicola Zingaretti at the Dolce Vita Exhibition to promote food and wine itineraries. 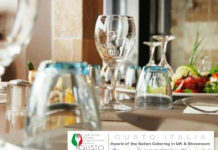 The Dolce Vita Exhibition has just concluded its show held from 9 to 11 of march at Business Centre in Islinghton and many visitors has still in memory tastes and flavors of Italian gastronomic fragrances and territories to discover. This year the province of Rome and the president Nicola Zingaretti has decided to take part at the exhibition in order to promote the beauty of the territory and the quality of the products of the Roman area. The province of Rome has launched the website www.romaepiù.it dedicated to the promotion of the surrounding areas of Rome.Many tourists that travel in the City of Rome ignore the beautiful places loved and depicted by great painters, poets and intellectuals near the Capital. Archeological sites such as Cerveteri, world heritage site, the historical scenery of the Castelli Romani , abbeys , mountains, volcanic lakes and wildlife reserves. 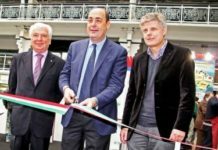 The President Nicola Zingaretti claimed that the re-launch of the areas must develop through environmental sustainability, public well-being quality and innovation as the parameters of all the choices of the Government. When we speak about Italy beautiful territories go together with excellent food and wine.The Province of Rome achieve to promote the DOC labels of many wines producers such as Consortium of Frascati, the “Strada del Vino Cesanese” the “Strada dei vini dei Castelli Romani” and “the Terra Etrusco Romana” that are wine and food itineraries. 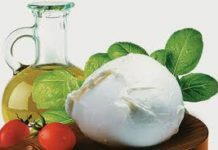 But also the olive oil from Sabina, The Porchetta of Ariccia, Genzano Bread and Gentilini Biscuits are other brands with DOP or Protected Geographical Indication. The event concluded with a lesson of Roman cuisine of the chef Claudio Ciocca well known for his brotherly friendship with the director Federico Fellini. Ciocca’s Restaurant in Grottaferrata is the most ancient in Rome, it is cited in Pope Bull on 1500 and the restaurant was the destination chosen by Elizabeth Taylor and other famous actors for their dinner in Rome. 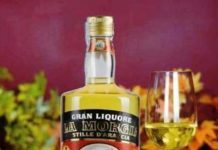 Passionate admirers of Italian style can taste and discovery personally this wonderful territories with a journey around Province of Rome villages.